See also : 6+ Times Avi Yemini consorted with Neo-Nazis, AJDS, June 1, 2018. The event went ahead, despite some calls for the pub to reconsider. 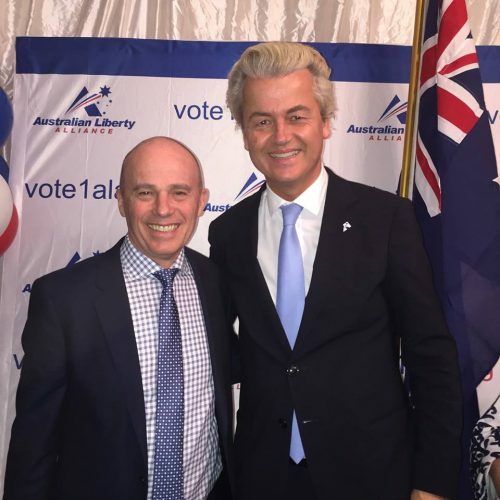 Such attempts were doomed from the start, however, as the proprietor, Ken Nicholls (below, with Dutch politician Geert Wilders, October 2015), is in fact an ally of the ALA and The Q Society, the venue having been used on several previous occasions to host events organised by Q and ALA, and Nicholls himself forming an important part of their political and social network. 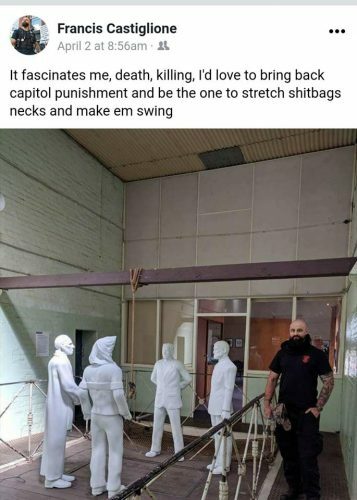 This entry was posted in Anti-fascism, Media, State / Politics, That's Capitalism! and tagged Arcadia Hotel, Arcadia Hotel South Yarra, Australian Liberty Alliance, Avi Yemini, Blue Fusion PTY LTD, Daniel Jones, Jews against fascism, Jewsagainstfascism, Ken Nicholls, South Yarra, South Yarra's Favourite Pub. Bookmark the permalink.